I first attended Fuqua Around the World, the annual global networking and social event, back in 2016 when I was an admitted student. Although I had already made my decision to attend Fuqua, I was excited to get a feel for the school by chatting with alumni and other newly admitted students in Princeton, New Jersey. It exceeded my expectations. Although there were Fuqua Around the World events happening all over the globe with about 2,000 attendees, I truly felt as if I were at a close-knit family reunion. As we chatted the evening away, what had begun as networking evolved into a dinner with four or five people, enabling us to get to know each other even better. I left feeling delighted with my decision to attend Fuqua and proud to be part of the Fuqua family. The warm welcome extended by alumni lasted beyond the physical boundaries of the event. 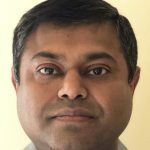 I stayed in touch with several people, and later on, one of them helped me to connect with the HR department at the company where he worked, Johnson & Johnson, so I could explore opportunities for a leadership development program. The next year, I attended Fuqua Around the World in New York. There, I had a similar experience to the event in New Jersey—interacting with people who were genuinely happy to meet up, chat, and make meaningful connections. Now that I’m back in Princeton, working as an enterprise architect for CLS Group, I made the decision to give back what I’d gained from previous Fuqua Around the World events. There had not been an event in Princeton in 2017, and I felt it was important to fill that void. I wanted to attract fellow Fuqua alumni in the area to a local event to prevent them from having to travel to New York or Philadelphia. So I signed up to host an event for 2018 and have been spreading the word via LinkedIn and on a Whatsapp chat group. Fuqua Around the World is close to my heart, and I hope to share this love with other Fuquans by hosting. 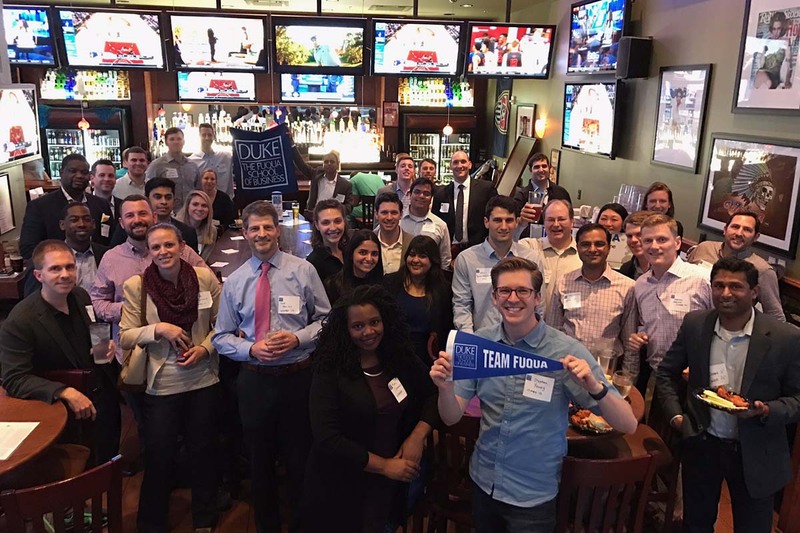 As alumni, it offers not only a chance to relive our experiences at Fuqua, but also to solidify our existing connections, forge new ones, and build relationships so we can continue to support each other down the road.